Don't let 'hanger' get the best of your healthy diet — try these filling weekday snacks created by nutrition pros. Most people think that weekends are when sticking to weight-loss goals are tough, but the truth is that walking the healthy line is just as challenging during the week. Weekdays present their own set of obstacles: work, family and an over-packed schedule of personal commitments and, of course, time to get to the gym. Strategizing weekday meal plans helps, but proper snacking is the way to bridge the hunger gap, nutrition experts insist, so impulse eating and poor choices don’t sabotage the good work you’re doing. "Whether it's the first thing in the morning or midafternoon, we all need an energy boost at some point during the day. The key to snacking is finding a combination with a balance of carbohydrates, protein, healthy fats and fiber,” says New Jersey-based registered dietitian, blogger and culinary nutrition consultant Julie Harrington, RD. We’ve asked nutrition experts and bloggers for their favorite go-to snacks that can help you reach your weight-loss goals. Harrington says you can step up your hummus game with plant-powered edamame as the base, plus heart-healthy avocados to make this dip extra creamy. Add colorful raw veggies or whole grain crackers to make this delicious dip a snack star. It’s widely known that almonds are a great go-to snack, but raw almonds can be bland and boring. Elevate your nut game and jazz them up them by adding a savory kick. With just four ingredients you likely have in your pantry (almonds, balsamic vinegar, salt and rosemary), try this easy recipe. “Pair them with a piece of fruit for the perfect sweet and savory snack,” adds Harrington. A study published in the Journal of the Academy of Nutrition and Dietetics strongly suggests that all snacks shouldn't be treated equally. Snacking on fruits and nuts was positively associated with diet quality — and snacking on veggies was associated with a lower body mass index (BMI); however, snacking on sweets was associated with a lower diet quality and a higher BMI. Not all snacks can be made in snap, and some planning is part of the weight-loss puzzle. “Meal prep these energy bites in advance to ward off any ‘hangry situations’ during the day,” says Harrington. These bountiful bites are a combination of oats, flaxseed, and almond butter and are snack with staying power. If you are a coffee lover, you’ll love the addition of the espresso powder. “It will give you that little jolt to power you through the afternoon. Find espresso powder in the coffee aisle of the grocery store,” says Harrington. Make these ahead and enjoy all week. Just remember to store them in the refrigerator or they dry out and get very crumbly. Stick to two to four bites per serving (depending on how big you make them). 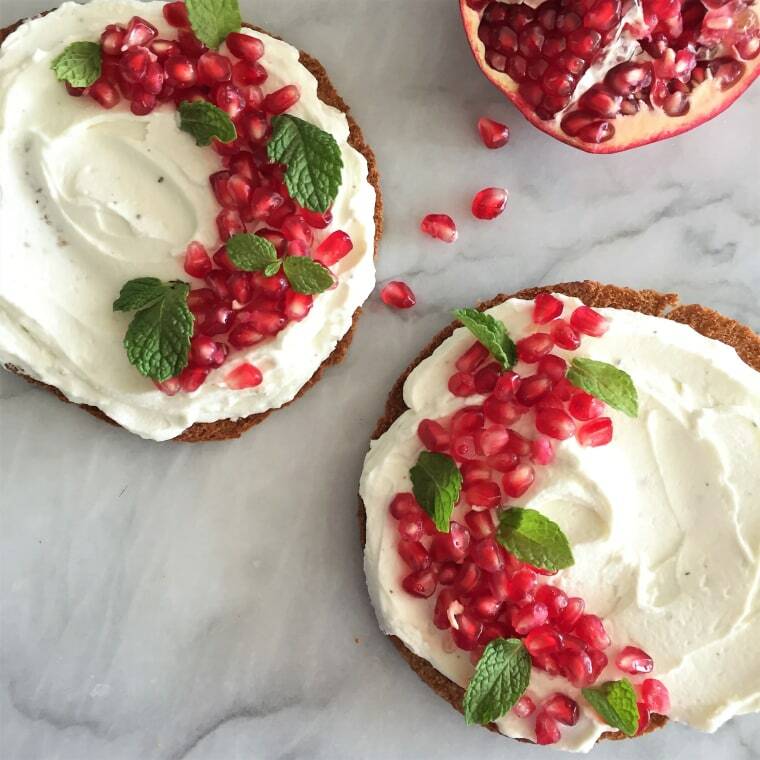 Created by Jackie Newgent, RDN, a culinary nutritionist and author based in Brooklyn, NY, this probiotic- and protein-rich toast is a nutritional winner with active cultures from the labneh and a total of 15 grams protein per serving. You may not know labneh, a soft, cream cheese made from strained yogurt, that's popular in Middle Eastern cuisines, but it’s a great building block for snacks. One of these flavorful toasts is ideal as a nourishing post-workout snack. “It multitasks as a beautiful breakfast pick, too. As a bonus, most of the recipe can be made in advance,” Newgent said. Planned snacking is a key part of a healthful eating style, especially important for busy, active people. Ideally, says Newgent, snacks should contain protein since your body needs a continual supply. Smart snacking fuels the body consistently throughout the day and is integral in increasing or maintaining lean body mass, maintaining mental acuity and regulating mood and energy, explains Sarah Heckler, MS, RD, LDN, CISSN, a registered dietitian and certified sports nutritionist in Raleigh-Durham, North Carolina. One of her favorite snacks is Spicy Roasted Chickpeas, made with uncomplicated ingredients you likely have in your spice rack. “Chickpeas provide protein to help keep you full as well as some carbohydrates to fuel the brain,” Heckler says. A healthy serving is 1/4 cup, which provides both carbohydrates and protein. Heckler also recommends this peanut butter & fruit toast as a great anytime snack that provides protein, healthy fat as well as a serving of fruit. “The protein and fat will aid in satiety and the fruit provides fiber, vitamins and minerals,” she says. Boost the nutrition of the snack by choosing a peanut butter that is low in fat and sugar (some varieties have added oil and sugars). According to a report in the Harvard Health Letter, peanut butter provides fiber, vitamins and minerals including potassium and other powerful nutrients. Unsalted peanut butter has a terrific potassium-to-sodium ratio, which counters the harmful cardiovascular effects of sodium surplus, says the report. To keep calories in check, make just one piece of toast and go easy on the peanut butter.